Learn about Buying a HUD Home at our next Quarterly Buyer Outreach Event. PLEASE VISIT US! 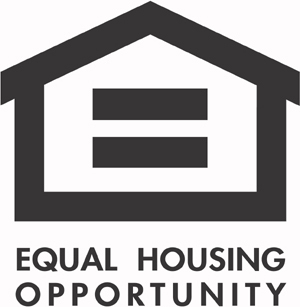 We will be at the bank speaking to attendees about HUD Home-buying opportunities! We offer “HUD Homebuyer Education” for buyers interested on puchasing HUD Homes. Please attend one of our workshops to learn how to buy a HUD-owned property in California. Appraisals are completed on HUD homes before they are listed for sale. Often times, the homes are listed for sale at or below the appraised value! If you utilize FHA financing, you can use the appraisal completed by HUD saving you hundreds of dollars! Termite reports are provided and section 1 repairs are completed by the seller when using FHA loans. Property Condition Reports (which are similar to a home inspection) are provided to you by HUD at no cost saving you hundreds of dollars! HUD will pay up to $4000 towards lead based paint remediation when the buyer uses FHA financing! Only owner occupants can make offers on HUD owned homes for the first 30 days the home is listed! Please join us to learn more about the process and benefits of buying a HUD home. We will show you a list of HUD properties available in Southern California communities. This event is completely free of charge. Learn How to save Thousands and Enjoy the Benefits of owning a HUD home at our HUD Homebuyer Education events. LEARN how Owner Occupants get priority! We will provide you with information on How to By HUD Homes and what incentives are available for FHA buyers! Please contact me at JMadison.Realtor@gmail.com to register for one of our “HUD Homebuyer Education Workshops” near you.